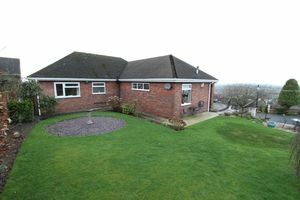 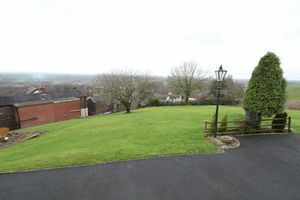 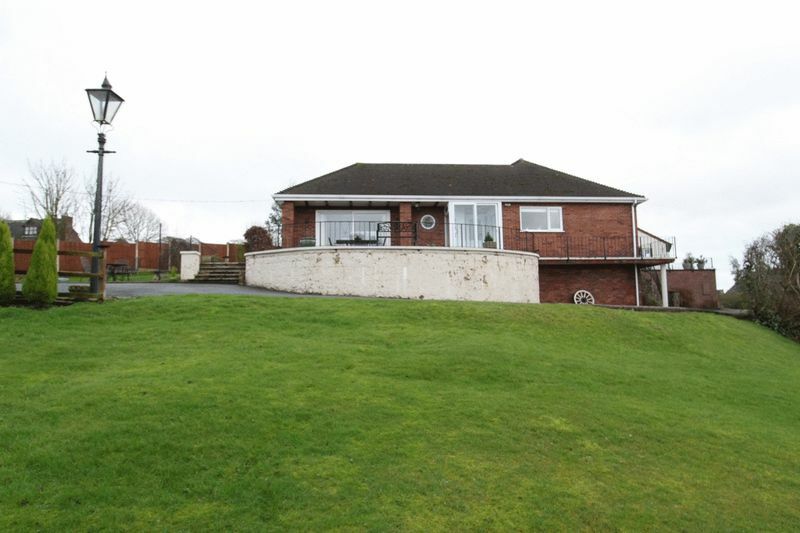 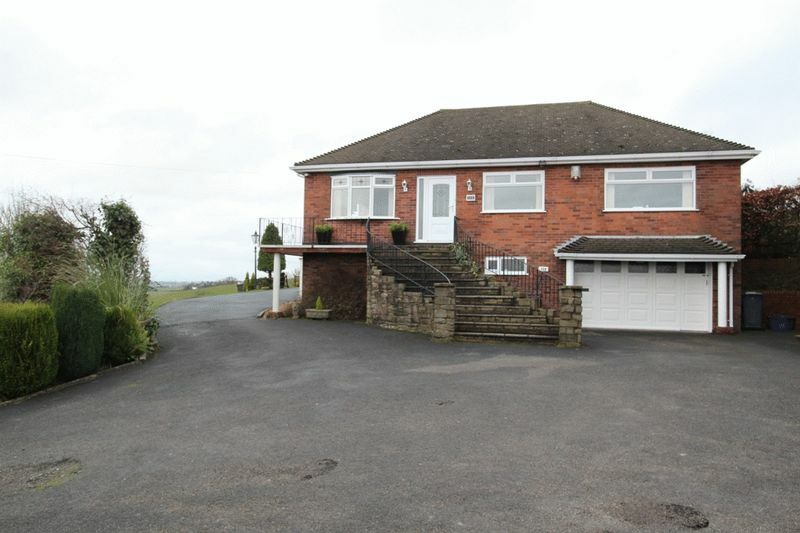 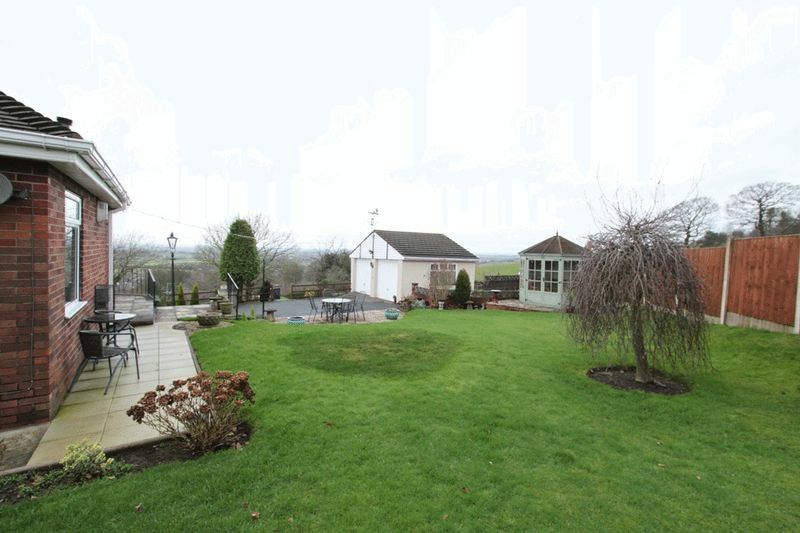 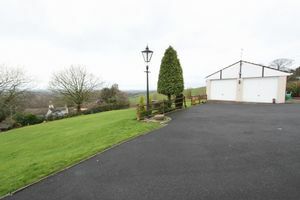 Holding a pleasant semi rural position to the north-west of Newcastle under Lyme, a unique individual build three bedroom split level bungalow residence enjoying an elevated aspect having superb unrivalled panoramic far reaching views across to the Welsh border and beyond. 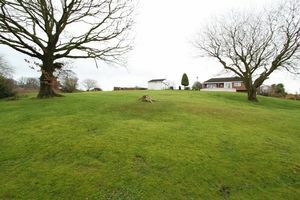 The property also stands on a substantial plot in excess of 0.7 acres or thereabouts (0.28 hectares) to include potential separate adjoining paddock of approximately 0.35 acres (0.14 hectares) to the side of the property. 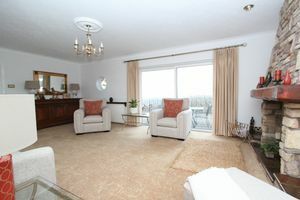 Internal accommodation comprises of a large corridor hallway giving access to all principal rooms including a spacious living room having patio door access onto a large balcony area taking full advantage of the distant views. Modern fitted dining kitchen having further superb views to front and side aspect. 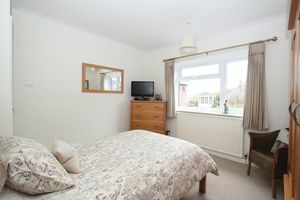 Three double bedrooms and a large feature principal four piece bathroom. Steps from the hallway lead to a lower ground floor lobby giving access to an additional shower room, large fitted utility and integral double garage with rear store division. 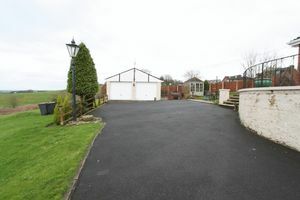 Impressively positioned on an elevated plot, the property is approached via a sweeping driveway with an abundance of well stocked borders providing extensive parking to the front continuing with further parking to the side leading to an additional detached double garage. A raised corner balcony area takes full advantage of the distant north and westerly views across to the Welsh border. 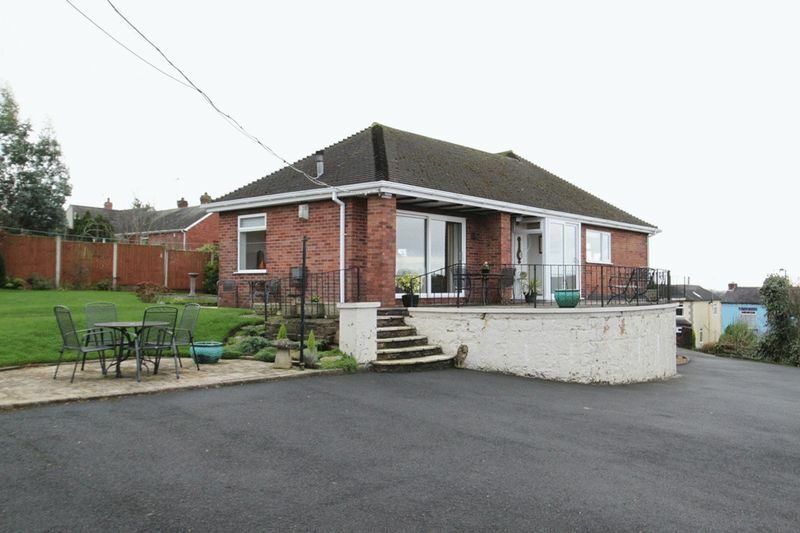 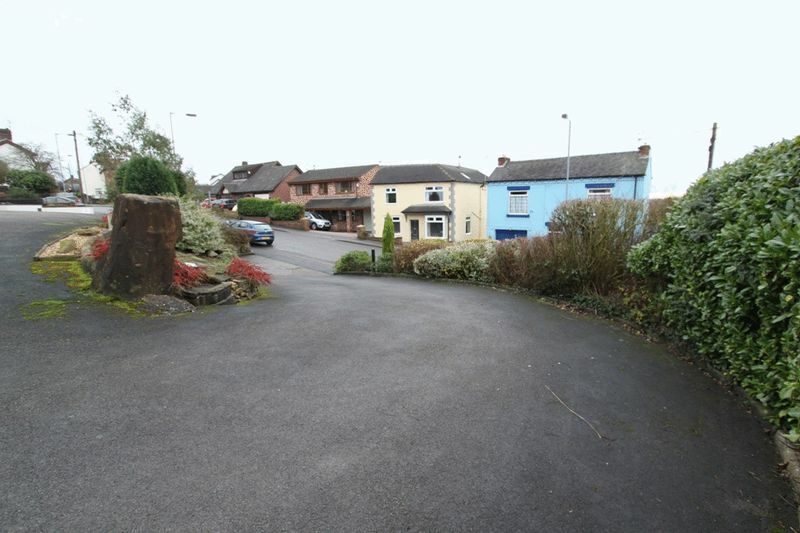 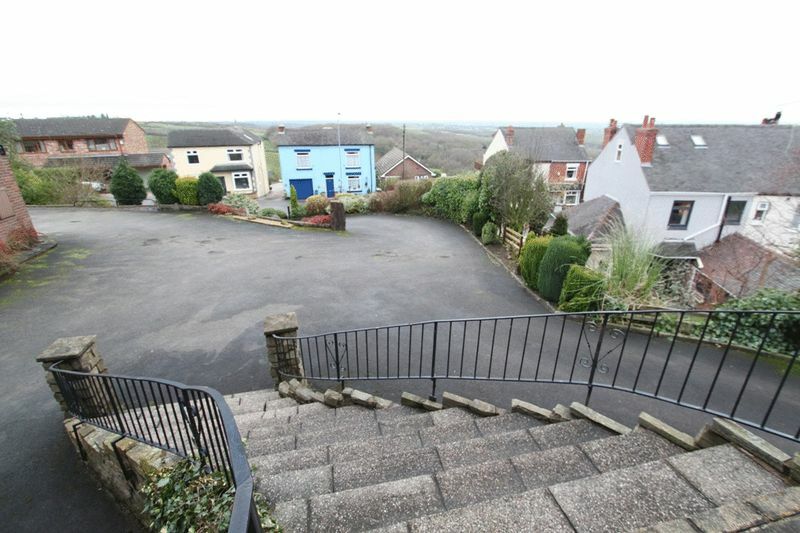 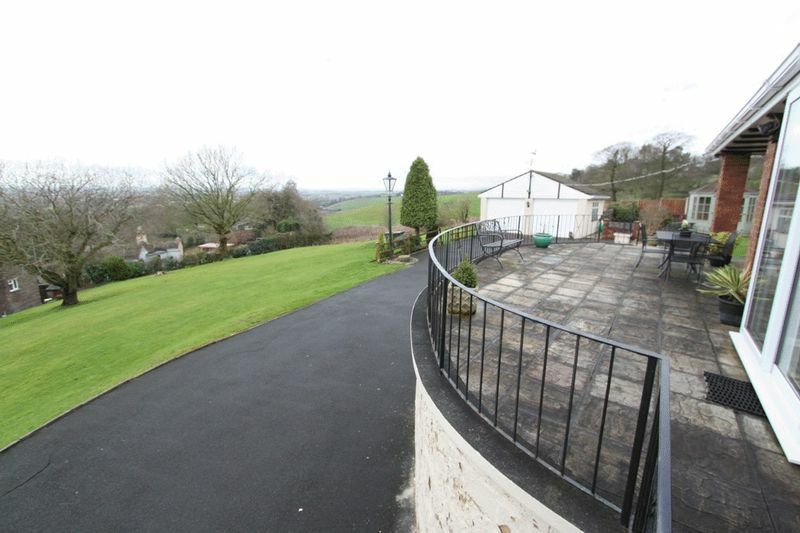 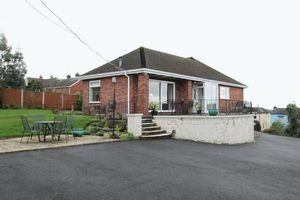 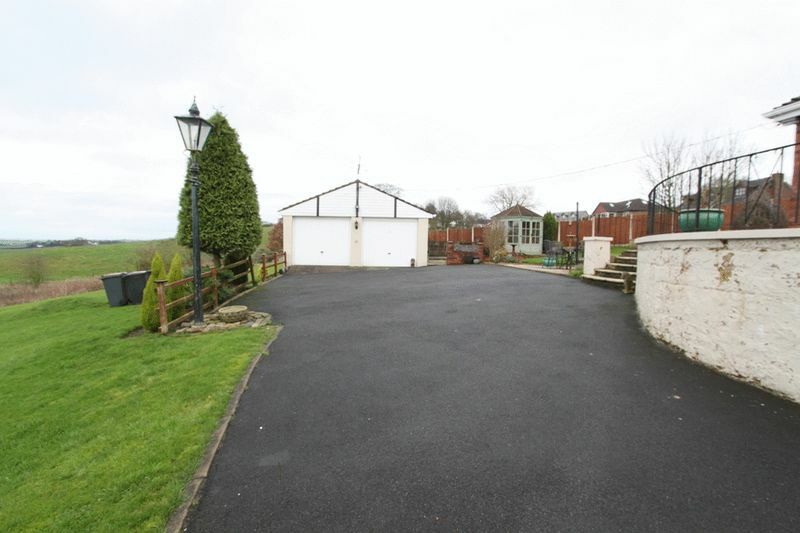 In addition to the private rear garden there is a substantial parcel of land adjoining to the side of the property providing great potential as a separate paddock or future possibilities for building development subject to any restrictions and planning consent. 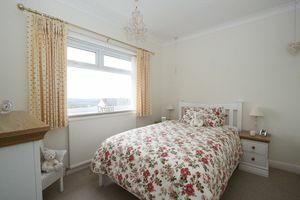 With quarry tiled step and uPVC sliding patio door with further side panel giving direct access to balcony patio commanding fine far reaching views. 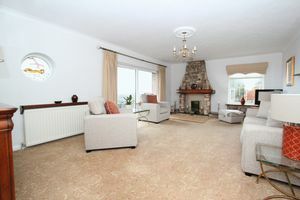 Enjoying elevated views, with feature stone mock chimney fireplace having timber mantel and quarry tiled hearth extending to further display hob and having living flame gas fire. Double radiator and additional skirting radiator. Feature porthole leaded light window, large sliding patio door giving access to balcony patio. Further uPVC window to rear and opposite side aspect. With inset one and a half single drainer sink unit set in granite work surface have a range of base and wall units comprising base cupboards and drawers, matching wall cupboards with integrated extractor canopy. Separate matching dresser unit with triple base cupboard, display cabinets with further drawer units beneath and centre-piece plate rack. 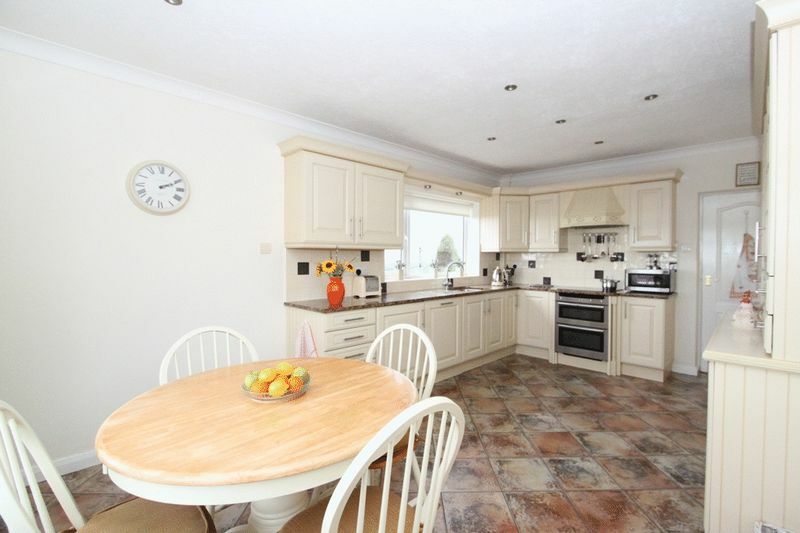 Fitted fan assisted electric oven with separate grill, inset four ring ceramic hob, integrated dishwasher and fridge. Radiator, ceramic tiled floor and part tiled splashback, ceiling downlighting. 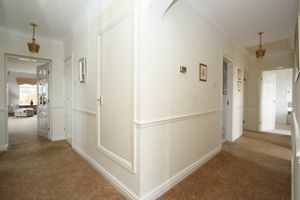 Dual aspect views from uPVC window to side and further three panel bow window to front. 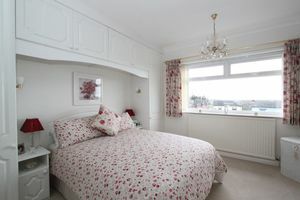 Range of fitted furniture comprising single wardrobe units and bedside cabinets either side of bed recess with cupboards above and matching headboard. 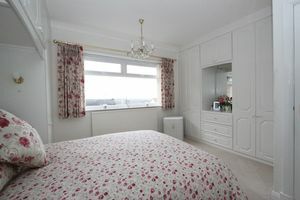 Further matching range of twin double wardrobes having centre-piece three drawer unit with fitted mirror and double cupboard above. 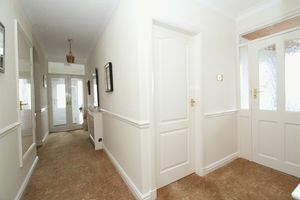 Radiator and uPVC window to front. With radiator and uPVC window to rear overlooking garden. 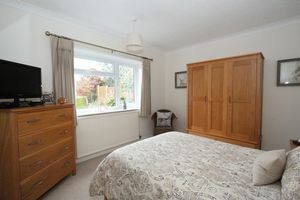 With radiator and uPVC window to front. 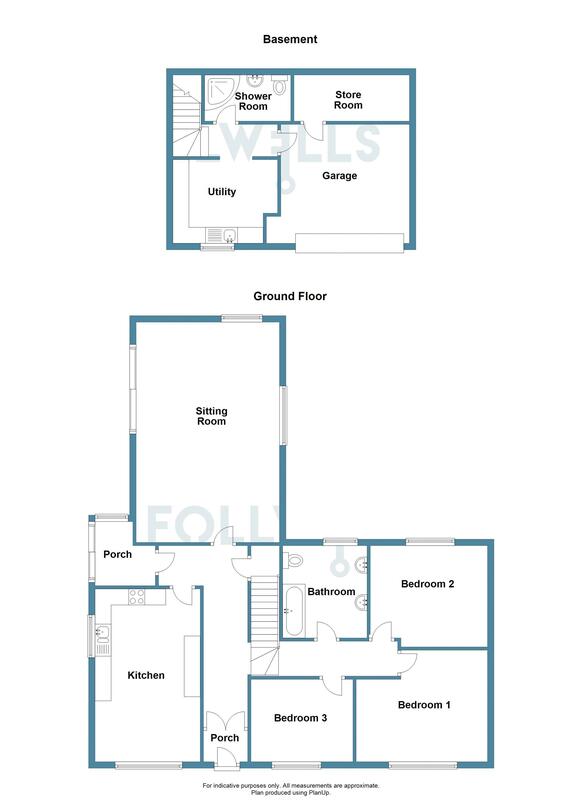 Spacious and luxurious four piece bathroom suite comprising panelled bath with wall mounted concealed mixer tap, twin inset vanity wash hand basins with range of medicine cupboards beneath and enclosed cistern W.C. Ceramic tiling to floor and walls, upright full height towel rail, decorative recessed ceiling with downlighting and uPVC window to rear. 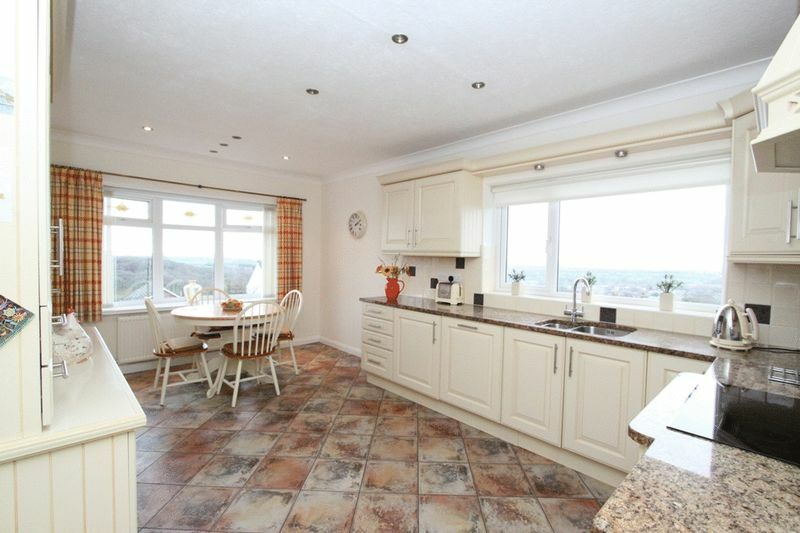 With continuation of tiled flooring and housing free-standing gas fired boiler. Stainless steel single drainer sink unit with mixer, work surfaces and base units. 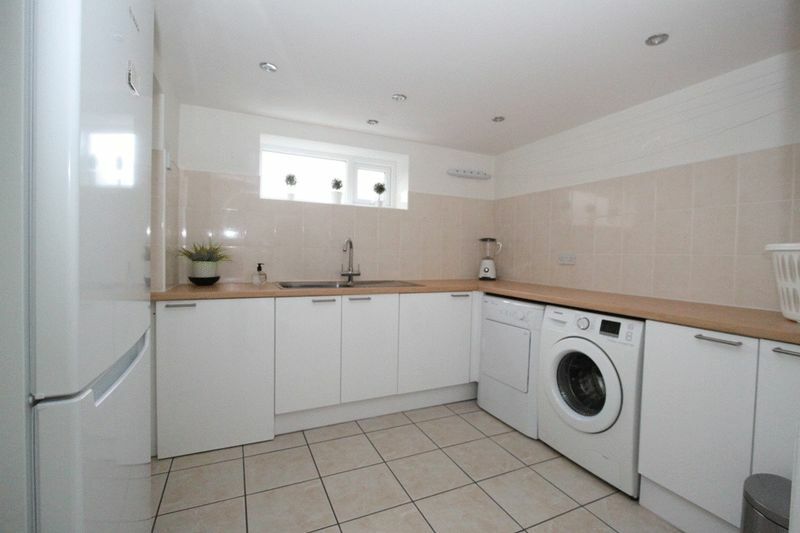 Space and plumbing for appliances including washing machine. Part tiled walls, ceiling downlighting and eye-level uPVC window to front aspect. 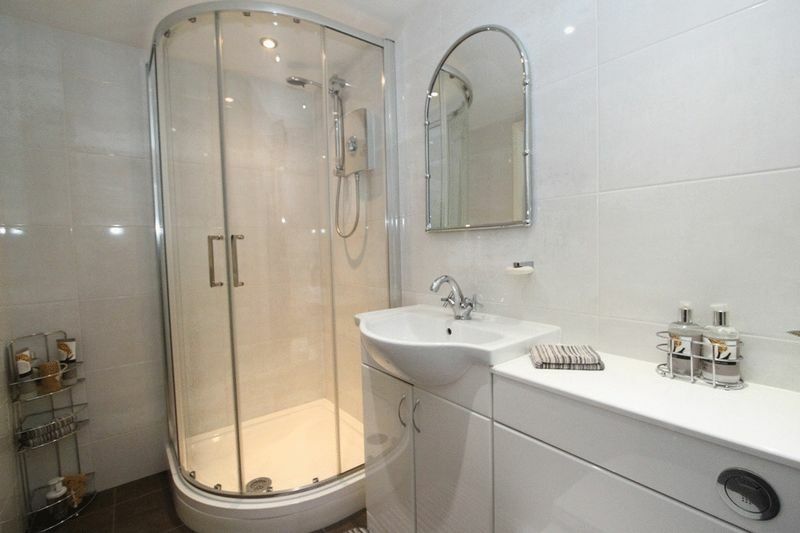 Three piece suite comprising corner shower cubicle with electric shower, inset wash hand basin with medicine cupboards beneath and concealed cistern W.C. 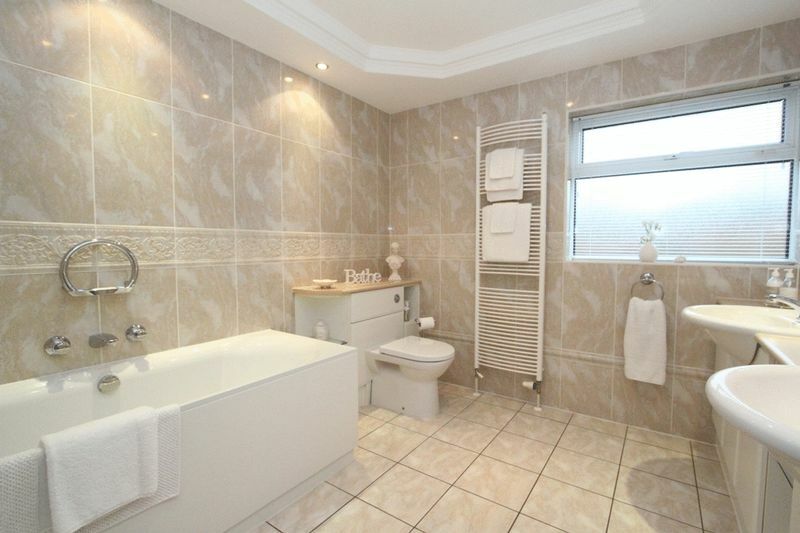 Ceramic tiling to floor and walls, wall mounted chrome towel rail and ceiling downlighting. 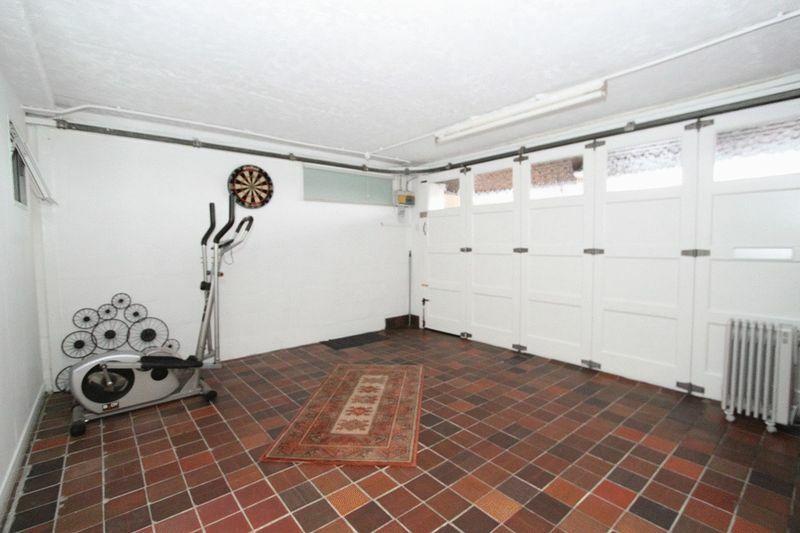 With continuation of quarry tiled flooring forming part of the original garage and additional light/power points. 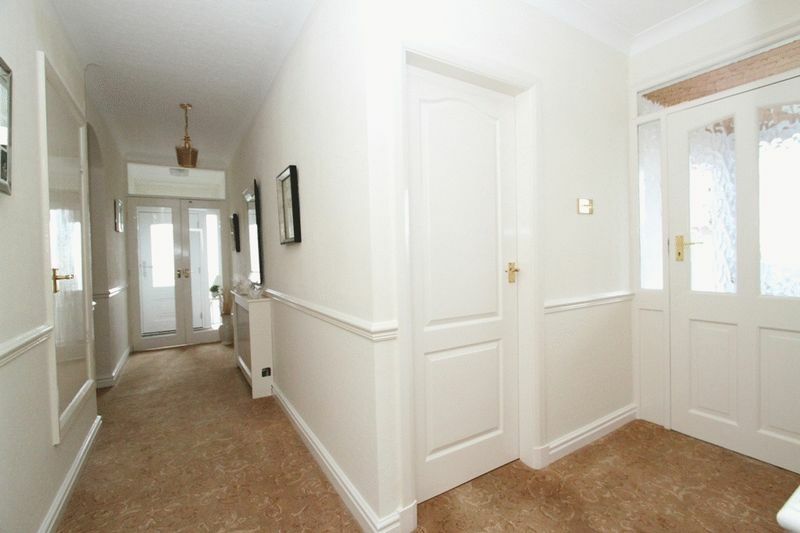 Of block and tile construction with twin up and over doors and light/power. 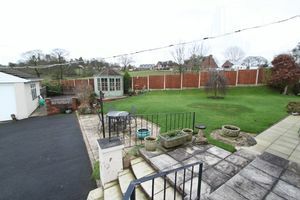 Private lawned garden to rear with plant/shrub beds and decorative gravel area. 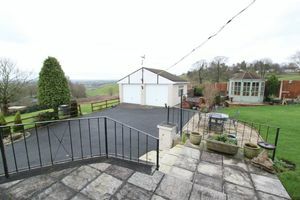 Timber framed summerhouse and flagged paving. To the side and front of the property is a raised railed balcony extending to a sun patio area commanding fine distant views over adjoining grounds and much beyond. 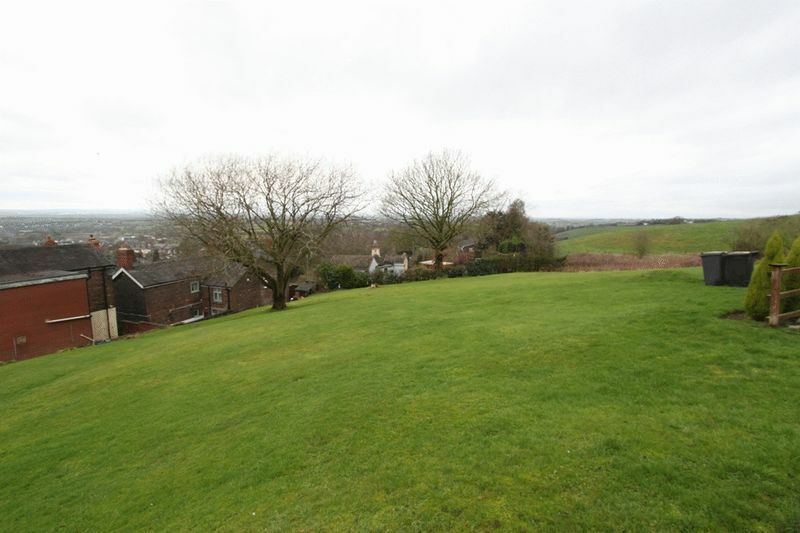 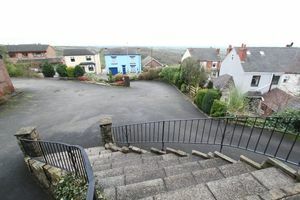 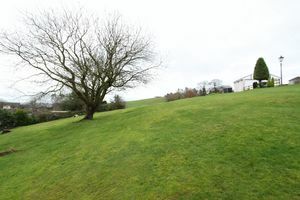 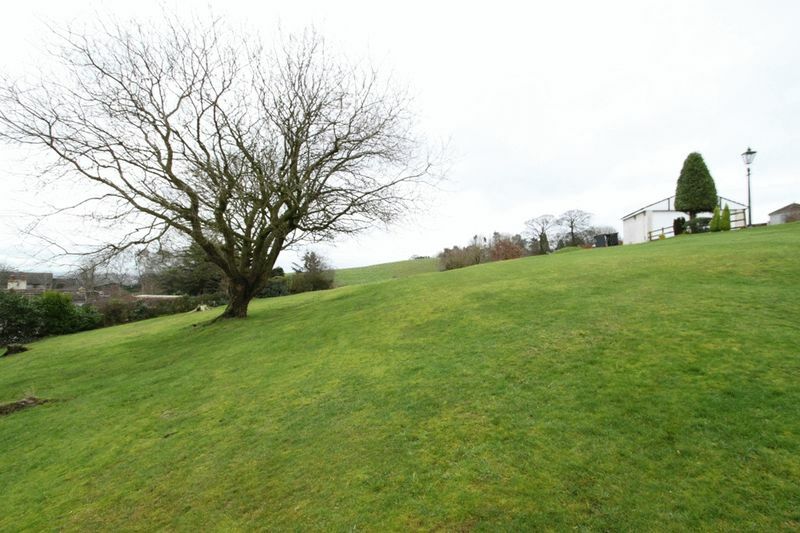 Situated to the side of the property measuring approximately 0.35 acres (0.14 hectares) inclusive of the total plot, turfed and with mature trees within boundary. 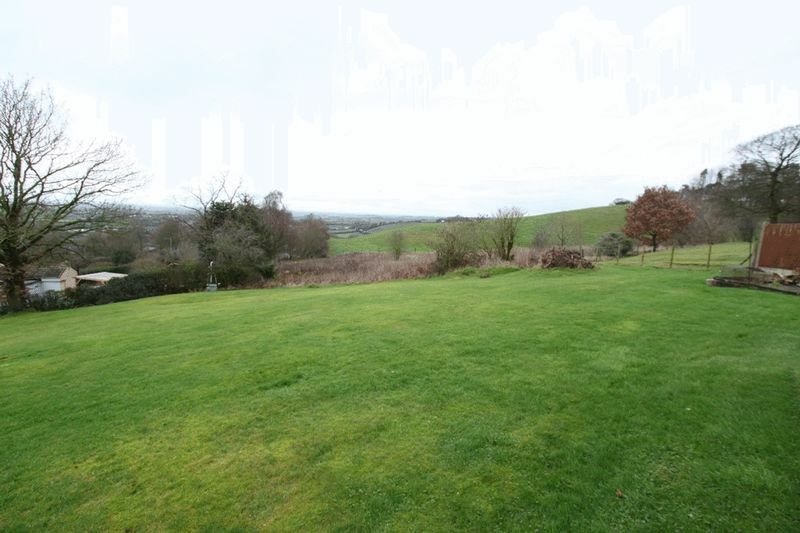 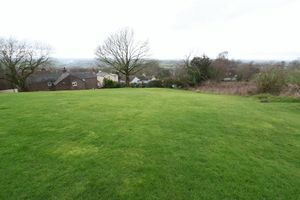 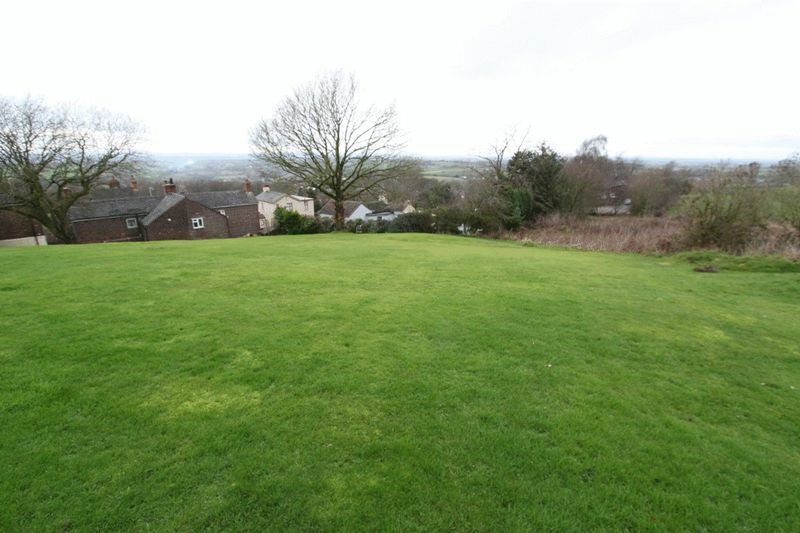 Currently being enjoyed as additional garden area offering potential to be a separate enclosed paddock or other uses including possible future potential for building development subject to any restrictions and planning consent. 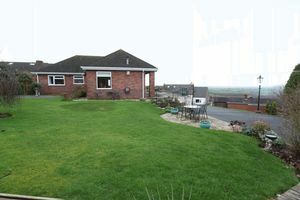 Band 'E' amount payable £2105.63 2018/19. Newcastle under Lyme Borough Council.